Dr. Mallett’s experience spans academia and the public sectors, working on the design, implementation and evaluation of energy, climate change and environmental policy. She has worked for the Canadian government (Natural Resources Canada and Environment Canada), an intergovernmental organization (the Organization of American States in Washington, D.C.), and academic institutions including Carleton University in Ottawa, Canada, the University of Sussex in the United Kingdom and the University of Minnesota in the United States. Research areas include an examination of the innovation, cooperation and adoption processes (including policies, actors and institutions) involved in sustainable energy technologies, especially in emerging economies, and Canada and the United States. A further line of research focuses on contemporary shifts involved in the governance of natural resources, with a particular focus on mining. 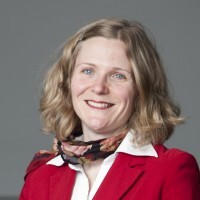 Recent projects include systematic reviews assessing the effectiveness of climate policies and the potential for technological innovation to mediate policies aimed at environmental improvements, a media analysis regarding the framing of smart grids in Canada, and an examination of sustainable energy options in the Canadian Arctic. I have worked on development, energy, and environmental issues for many years as a practitioner, policy maker and scholar. These various experiences include research within various geographic settings such as urban environments in Brazil and Mexico, India, and more recently the Canadian Arctic and Canada and the United States. This background has informed my thinking as major changes rapidly unfold involving new stressors, new players and new technologies. I am interested in these transitions; suggesting that an understanding of the processes involved in these shifts is critical in realizing potential outcomes. These changes warrant a re-think of how we organize our systems such as those around energy and natural resources and public policy plays an important role. Alternative ways of doing things and the need to reconsider conventional norms around essential concepts are required. For instance, could we move to more decentralized energy systems? Are actors turning to alternative governance schemes? What constitutes innovation? What encapsulates technology and policy design, formulation, and implementation? Who innovates and what activities are captured? What are the public policy implications of these new dynamics? In examining the above, I am interested in real world experiences regarding these transitions (e.g. the design and implementation of policies, community engagement, social acceptance) within varying contexts. I have mainly worked in the area of sustainable energy, and more recently in mining, examining the dynamic governance of natural resources. Mallett, Alexandra and David Cherniak (2018) “Views from above: policy entrepreneurship and climate policy change on electricity in the Canadian Arctic.” 18, 1-14. Mallett, Alexandra, (2018) “Beyond frontier technologies, money and expert knowledge: New parameters for innovation and energy systems change.” Energy Research and Social Science 39, 122-129. Mallett, Alexandra, Jennie C. Stephens, Elizabeth Wilson, Ryan Reiber, Ria Langheim and Tarla R. Peterson (2018) “Electric Connections: News Coverage of Smart Grid in the U.S. and Canada, Renewable and Sustainable Energy Reviews, Special Issue on Smart Grids in North America, Volume 82 Part 2,1913-1921. Mallett, Alexandra, Xavier D. Philion, Ryan Reiber, Daniel Rosenbloom, and Maya Jegen, (2018) “Smart grids framing through smart meter coverage in the Canadian media: technologies coupled with experiences.” Renewable and Sustainable Energy Reviews, Special Issue on Smart Grids in North America, Volume 82, Part 2, 1952-1960. Peters, Derek, Jonn Axsen, and Alexandra Mallett (2018) “Socio-political acceptance of smart grid as a tool to mitigate climate change in British Columbia.” Renewable and Sustainable Energy Reviews, Special Issue on Smart Grids in North America, Volume 82, Part 2,1939-1951. Mallett, Alexandra (2015) “International Technology Collaboration and Low Carbon Innovation: Recasting ‘Truisms’ with insights from emerging economies”, Innovation and Development, Vol 5, Issue 2, pages 297-311. Auld, Graeme, Alexandra Mallett, Bozica Burlica, Francis Nolan-Poupart, Robert Slater, (2014) “Evaluating the effects of policy innovations: Lessons from a systematic review of policies promoting low-carbon technology” Global Environmental Change, Volume 29, pages 444-458. Mallett, Alexandra (2013) “Technology Cooperation for Sustainable Energy– a review of pathways”, Wiley Interdisciplinary Reviews on Energy and the Environment (WIREs), Vol. 2, Issue 2. March / April 2013, pages 234-50. David Ockwell and Alexandra Mallett (eds). (2012). Low carbon technology transfer: from rhetoric to Reality. Routledge: Abingdon, UK. Cherniak, David, Vincent Dufresne, Lawrence Keyte, Alexandra Mallett and Stephan Schott, “State of Alternative Energy in the Arctic”, report for Polar Knowledge Canada (PKC), September 2015.